Chris Pratt And Katherine Schwarzenegger To Have An Intimate Wedding! Will Anna Faris Be Invited? 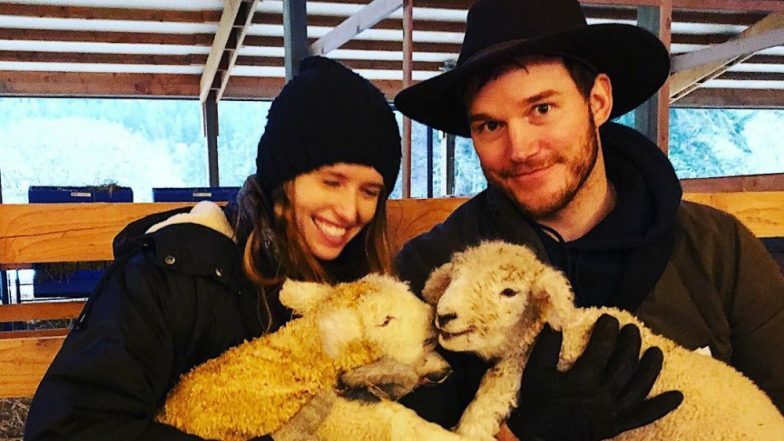 Chris Pratt and Katherine Schwarzenegger might not have set a date for their wedding yet but they have decided how to go about it. The couple will be calling only their closest friends for their wedding. Schwarzenegger, who is stoked about her wedding, is prepping in full swing. “I feel like we’re all really involved in wedding planning,” Schwarzenegger said at the premiere of the new IMAX film Superpower Dogs. “I think that you know, for me, my family is very involved. I’m very involved, [Chris is] very involved … So it’s a great combination of everything and just a really exciting and fun [time].” The big question remains though, will they invite Anna Faris? Considering how Faris is in good terms with the new couple. Clementine snuggles Cupid. The half sisters, daughters of Rex Dangerfleece get along well. We’ll see if that changes come middle school. “They have a general idea when they want the wedding to happen, but don’t have the exact date yet,” another source previously revealed to People. “Katherine is having the best time planning everything. She loves it!” Pratt also stated that he is letting Katherine do all the wedding arrangements, who is too happy about it. Star Lord May Have Been Stupid In Avengers: Infinity War But Chris Pratt Assures Fans That His Next Film Is Going To Blow Minds!